Sign up to receive a notification when Kathy has a new book release or interview. 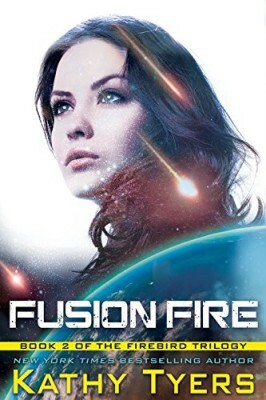 Enclave Publishing has re-released Fusion Fire, making this second book of the award-winning Firebird series available as a single volume for the first time since 1999. New editions of all five Firebird series novels are planned. Forced to forsake her royal heritage, Lady Firebird now faces new and powerful enemies. Firebird is pregnant with twins when her new husband, Brennen Caldwell, is left as the only heir to ancient messianic prophecies. Meanwhile, on another world, Firebird’s sister defects to the enemy camp and is made a prisoner. Brennen’s superiors ask him to try to rescue her, and Phoena’s desperate husband travels light-years trying to enlist Brennen’s aid. But Brennen is not tempted to comply … until a divine dream sends him exactly where he does not want to go.